The father of Gods and men / king of the Gods? 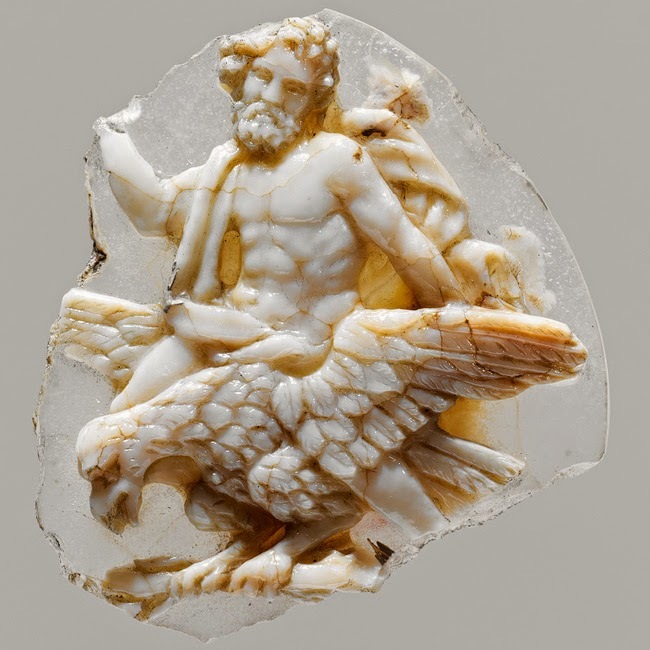 Because it is often becomes a defining point of Jupiter in contemporary comprehension of the Gods I want to take a moment to look at the common mythological depiction of Jupiter as king of the Gods. Cicero notes that ancient poets (most of whom were Hellenophiles) commonly referred to Jupiter as the “father of Gods and men”. As to Jupiter’s most traditional epithets amongst the Romans, Cicero tells us he was termed “best and greatest”, or rather, Optimus Maximus (Cicero, Nature of the Gods, Bk 2). Another common epithet for Jupiter was pater (father), indeed, Jupiter’s name is said to derive from the Latin for “helpful father” (iuvans pater) but pater was also a common epithet for many other male Gods, including Apollo, Dis Pater/Pluto, Janus, Mars, Neptune, Saturn and so on. Thus the Hellenic based view of Jupiter/Zeus as the father-king of the Gods was not universal in the classical age. 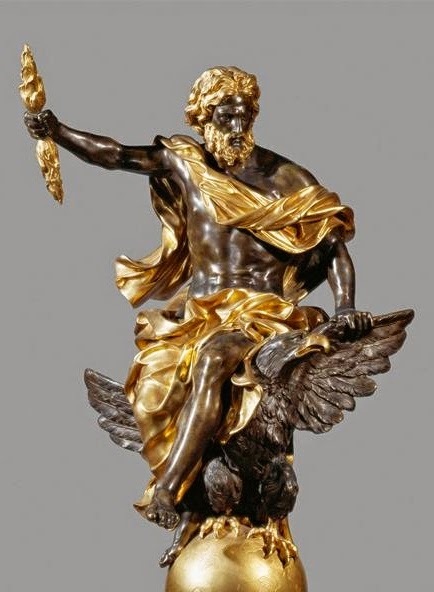 We might say that we doubt that the Gods are monarchists, but even if Jupiter is not “king of the Gods” he is still – as the thunder God is in all Indo-European pantheons – a God of immense power and so we revere him as especially prominent amongst the Gods. From the start of the history of Rome we know that Jupiter was revered the most. The earliest Romans are thought to have been mostly farmers. 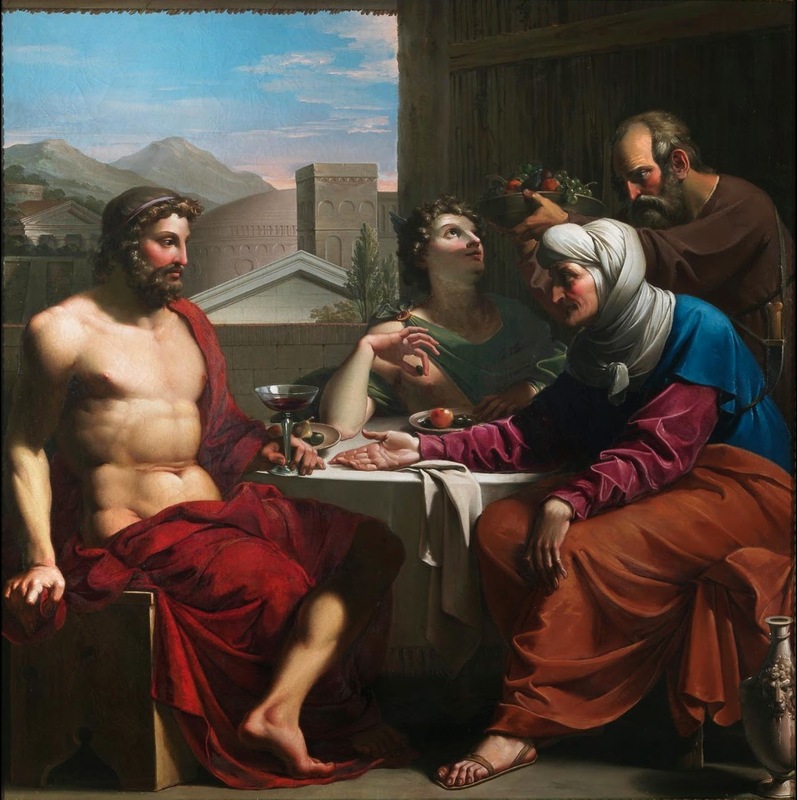 Cato records that both before ploughing in the spring and before harvest time reverent offerings were made to Jupiter that he “will be gracious and merciful to me and my children, my house and my household” (Cato, On Agriculture 131-134). Jupiter’s agricultural aspect was also emphasised via the Vinalia – a wine harvest festival in honour of Jupiter and Venus. It is unsurprising that a society that had deep agrarian roots would cast the God of weather as the “best and greatest”, and thus the priesthood of Jupiter, the flamen Dialis, was one of the most ancient and important priesthoods in Rome. However, by the time of the late republic, as Rome became ever more urban and militarily focused, this priesthood was left unfilled for over 70 years – a situation finally rectified by Augustus in his revival of traditional religion (Beard 1 at 130). Nonetheless, Jupiter retained his position at the apex of the Roman pantheon – for he was the foremost God in the Capitoline Triad, the primary protecting deities of Rome, whose massive temple dominated the city and was the site of the grandest public rituals, including the final rites and offerings made by a triumphant war general (Beard 1 at 39; North at 82; Rüpke at 238; Turcan at 102). Caesar famously described Jupiter as “the only king of Rome” and thus sent the laurel wreath (symbolising kingship) that Antony had attempted to crown him with to the Capitoline temple (Beard 2 at 5). By the imperial era the custom of building a triple temple (Capitolium) to the three Gods of the State Triad – Jupiter, Juno and Minerva – spread outwards from Rome across the empire, becoming the classic mark of a Romanised community (Beard 2 at 99 and 244). Similarly, “Jupiter columns”, dedicated to Jupiter Optimus Maximus, were common in Romanised France and Germany, and throughout the empire Jupiter enjoyed great popularity in his own right, especially through identification with local Gods (Beard 1 at 345-346). One of the most popular of these was that of Jupiter Dolichenus – around whom a Syrian born mystery religion was based (Beard 2 at 295). Meanwhile, back at Rome, even as late as the mid-fourth century CE, when other cults, especially those relating to Sol and Christ, had become widespread, Jupiter was still named as one of the Gods most especially venerated in Rome (Beard 2 at 360). Tragically, Emperor Theodosius would bring an end to the age of Roman piety. For over a thousand years Jupiter held the highest place in Rome, and while this was so Rome prospered and achieved unparalleled glory. When Theodosius prohibited polytheistic worship in the 390s, and allowed Christians to desecrate Pagan sanctuaries, it was not even 20 years before Rome was sacked (in 410) and the fall of the western Roman empire essentially complete. When Cicero refers to the safety that Jupiter bestows he is not just talking about his role in ensuring bountiful harvests – he is referring to something broader, for he is also referring to a state of social order and harmony which is facilitated, inter alia, via Jupiter’s association with the rule of law, for Jupiter was intricately associated with oaths and thus the contracts, treaties and leagues which kept the peace. The Romans thought of themselves as particularly scrupulous about oaths … According to Cicero no crime was punished more harshly than perjury … and Juvenal vividly portrays a perjurer fearful of divine retribution … [Gagarin at 85]”. Thus the ancient Romans cultivated the benevolent protection of mighty Jove, who is as awe-inspiring and powerful as he is frightening and potentially deadly. Jupiter is the thunderer, the bringer of rain, the best and greatest guardian of Rome. "Unlike the Traditional [Hellenist] tradition (which shows a sort of hierarchy among the divine forces), in the Traditional Roman Spirituality this hierarchy is rather attenuated. In practice, no divine forces prevail over other divine forces: there is no Olympus with a monarchist organization and structure [see lases.blogspot.com]."